State Government in Victoria in Crisis! The following article is by Mathew Dunckley and originally appeared at the Australian Financial Review..
Geoff Shaw might finally have overplayed his hand. Having played starring roles in the departure of a Premier, a Speaker and a fair bit of political convention, the independent member for Frankston has used his fulcrum position as the swing vote in the Victorian Legislative Assembly to devastating effect in the 15 months since he quit the Liberal Party. But now he looks to have found Premier Denis Napthine’s limit. The fuse was lit late last week. Before Friday, all the signs were the Coalition government would bear the pain of being accused of pandering to Shaw in the fallout of a pretty soft privileges committee report into the flagrant misuse of his parliamentary vehicle. It would go through the motions, ask Shaw to repay some money and get on with something else. But then Ken Smith – the Speaker chopped down at Shaw’s hand – indicated he might not play ball. Smith threatened to cross the floor on a vote that could see Shaw booted from parliament. Some put this down to the men’s hatred of one another. Shaw, though, seems to think it is part of a Liberal conspiracy. Quite why a minority government would seek a byelection that would potentially tip it from office is not unclear. Whatever the case, Shaw saw red. He demanded and did not receive Napthine’s guarantee of protection from further parliamentary sanction. In an insight into his growing delusion about his own power, Shaw also apparently attempted to dictate a judicial appointment. Napthine had enough, and told him “no”. Shaw then went on radio and did what had been long speculated he might do. He said he would support a vote of no confidence in the government. So where does that lead? Without Shaw’s support on the floor of the parliament, the government can muster only 43 votes. If Shaw votes with Labor, that will total 44. The arithmetic might seem straight-forward but the process is not. There are truck-size holes in the words in the state’s constitution about how to call an early election outside the set four-year terms. This is no doubt part of the reason why Opposition Leader Daniel Andrews wants to meet the state’s governor, Alex Chernov, with Napthine. He wants a ruling on how the governor, a former Appeal Court judge, sees the letter of the law. If an election is possible, senior Labor figures suggest they have no compunction about the prospect of voting with the “tainted” (to borrow a term from Tony Abbott) Shaw to bring down a government and force an early poll. There is a complicated process to be followed that theoretically could take weeks to work through, but it could also happen quickly if Labor and Shaw work together to vote up changes to the working of the parliament. Do Labor want an election? You bet. Labor leads in most published polls and has done for some time. The angst over the federal budget has plunged the federal Coalition’s standing in Victoria into polar depths. Remember the government holds only one more seat than Labor at the starting line for any campaign. The earliest date tipped for an election is late July. Another carrot for Labor in an early poll is it means the government’s list of contracts to sign before the November election is suddenly up for contest. Number one on that list is the $8 billion East West Link’s first stage, which Labor opposes strongly but was likely to be snookered on, with contracts due for signing ahead of the election. Another political path would be to take Ken Smith up on his offer, vote Shaw out of parliament, fight a byelection and enjoy months of chaos in parliament and campaigning on the streets. On the Coalition side, Napthine faces several bad options. He can lambast Andrews for “accepting” a “tainted” vote – but this opens him to allegations of hypocrisy, given his government has depended on Shaw’s vote to pass bills. There are questions over assertions from conservatives that Andrews has promised explicitly never to “accept” Shaw’s vote. Napthine could also roll with the opposition towards a poll, but the Coalition had been banking on getting some kind of clear air in the months ahead to improve its polling. The truth is the Premier is not the one choosing the options. It is others who hold his fate in his hands. And what of Shaw? Well one thing that might be on his mind is that if he loses his seat at a general election he gets six months pay; if he is turfed out under a censure motion he will not. 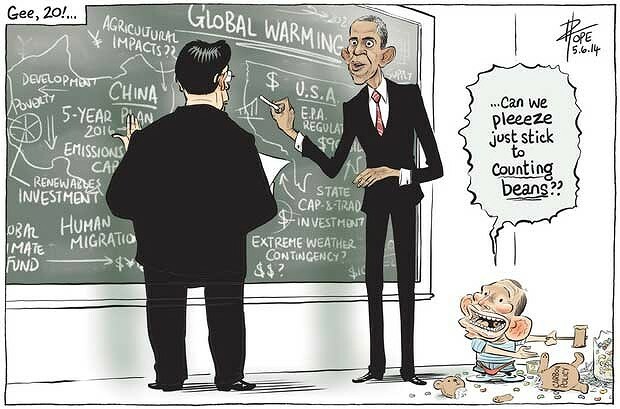 ← Tony Abbott: International Laughing Stock of the Entire World! What a rotten State. Brimming with scum. “Scum”, maybe, but “immoral” by whose or what code? Victoria……………………………….just full of corrupt pollies. I know that shaw was in the media saying that he intended to introduce anti abortion legislation. I did wonder if he put the hard word on napthine. It would be political suicide if napthine went along with it. Seems like a massive crackpot to me, why do these nutters get into parliament? Seems like a massive crackpot to me, why do these nutters get into parliament? Schools and media have now dumbed down two generations and the third is on its way … how long is my life expectancy again? The royal commission into child abuse will examine the case of a former Catholic priest who once received a court reference from Tony Abbott. More squirming, pinned under the microscope. I’m yet to see a credible defense from Abbotteers (or even anti-leftists) of having trained counsellors cut from public schools, in favour of boosted funding for Christian ‘chaplain’ disseminators. Now I like that new word … have you copywritten it yet? I use it quite a lot on my dumbphone, on account of it being ‘stored’ as a regularly used word (haha)…my phone has ‘learned’ it. Not so much on a keyboard, where it’s a little cumbersome. maybe mgfknfcnt is better? Traditionally, a chaplain is a minister, such as a priest, pastor, rabbi, imam or lay representative of a religious tradition, attached to a secular institution such as a hospital, prison, military unit, school, police department, university, or private chapel. Putting chaplains in public schools is a pure hat tip to sections of the conservative base. Religion, for the overwhelming most part, relies on inculcation of the young & impressionable. If it was eradicated for a couple of generations, then reintroduced to the adult population, it would be highly unlikely to propagate to the same extremes. I see the vics aren’t the only libs with issues. The leaking has begun in the feds. Has rudd jumped ship? One of the budget’s most contentious measures, the fuel excise, was born out of a double-dealing power play. When all else failed with AWU, the libs and media ran this loud and proud. Labor should get the gloves off and play just as downright filthy as the libs did and still do. They won’t though. It is subliminal and downright medieval. Every school with it’s own Bishop of Bath and Wells. How much longer until the international midget goes? Shaw, another teabag that has jumped off the tea-trolley,(or_pushed) smells like a full-blown crank(of-the-noddy-flavour) with the abortion fetish. Let`em grow-up without the dogma, then if they choose to exercise their right to be stupid, so be it. Not that much of a crisis, as it turns out.